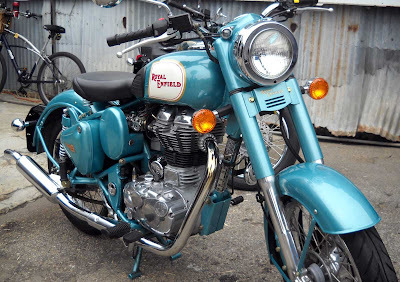 Selling new Royal Enfield motorcycles in California is a huge step forward for the brand in the United States. I've predicted that the classic, British style motorcycle will be a big hit in the state that sets the pace for the rest of the country when it comes to having fun. Royal Enfield will take note of this landmark moment in its history: the first 100 Royal Enfield motorcycles sold in California will be numbered special editions, Royal Enfield USA president Kevin Mahoney said. "The state of California will have the last piece of paperwork to begin selling Sept. 23 so hopefully within the next two weeks we will have bikes for sale in California," he said. "The first 100 will be numbered special editions."